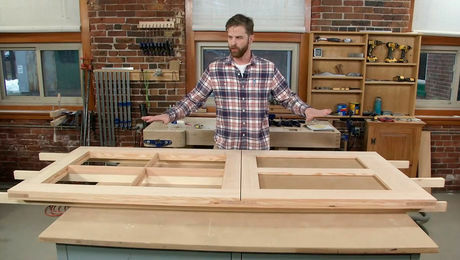 If you’re framing a staircase, you could hope that the stair gauges on your framing square bear against the edge of a nice straight board, but they may not—in that case, there’s a better way. Please send us any tips that you think would make a great There’s a Better Way video. We pay for the ones we publish. You can post tips in our submit a tip blog, or just email them to Fine Homebuilding care of Chuck Miller. Thanks! If you’ve got to make a really accurate cut with your sliding compound saw, you could sneak up on that cut to get exactly where you want to be, but there’s a better way. Nice tip; quick and very practical! I'd like to add another level to this for those that like to be even more precise with a challenging board. What if the board you're cutting has a crown and you want your stringer to be perfectly straight? You know, so straight that you can lay a long straight edge on the nosing of all the treads and just ride them up and down with zero rocking of the straight edge due to that crown? AND, you don't want to take the time to straight-line rip the board with your Festool or plane it to create that perfectly straight edge? Here's what I do: Measure in, say 3/4", from the edge at each end of the board and snap a a nice, crisp chalk line to register your framing square to. It works great and, if the underside of the stringer doesn't require a perfect finish the reverse of that crown doesn't matter. You can use boards you would normally reject and you won't necessarily be sizing up to wider boards unless the crown is really excessive. You can snap a line and true up the bottom edge too if desired. I also use this method with rafter patterns sometimes. I don't understand why the straight edge is kerfed. Why can't you just clamp a straight 1 x 2 or 2 x 2 under the square without trying to trap the square in the kerf? I built mine in apprentaceship back 20 yrs. ago out of 2 pieces of hard maple. Instead of clamps, I used 3 small bolts , washers & wingnuts. I still have my stair gauges, just incase. My guess would be that the kerf helps hold the straightedge in place while you're positioning and clamping it, but I'm sure it would function just as well if you just clamped a plain board on the side of the square that you wanted to bear on the stringer. Mine is getting close to 30 years old now. I lock it on a square with machine screws and wing nuts which pass through elongated slots. What makes the slotted/kerfed version better than a board clamped on the face of the square is the ability to flip the square or use both sides of the fence without messing about. I couldn't count the number of stairs and rafters I've laid out with that tool. The pattern for mine came from an English book on the steel square dating from about a century ago. 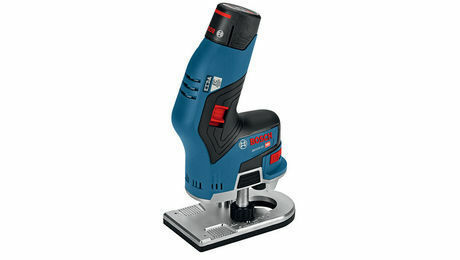 I used this one this weekend on some finicky trim pieces and it works great! Simple and effective! Thanks again chuck! Cheaper than the sonic stop! John Carroll, the originator of this tip, wrote a book, Working Alone, which is worth a read- he's gotta be the laziest guy on the face of the earth- he's come up with more ways to save time and effort than any three normal people. Another of his books, Measuring, Marking and Layout, A Builder's Guide, is also worth owning and reading.